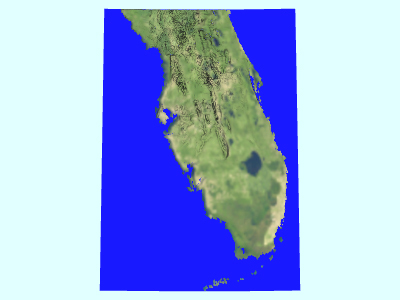 Welcome to the Virtual Earth System Laboratory (VESL). Here, the Ice Sheet System Model (ISSM) team hosts simulations related to glaciers, ice sheets, sea level, and solid earth. The technology behind the lab is described in a GMD paper, see the following JPL news release for more info. Welcome to the Virtual Earth System Laboratory! 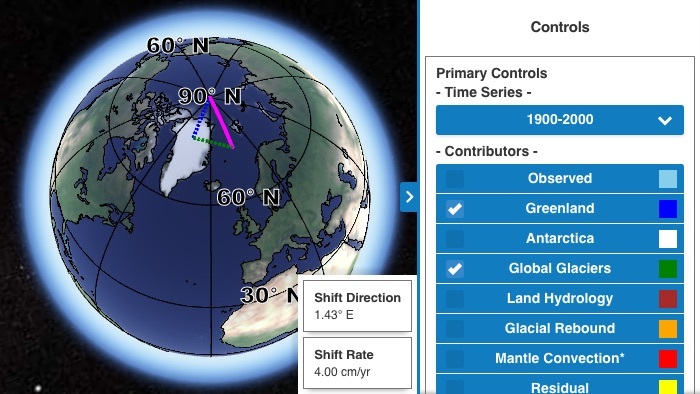 On this site, a sophisticated computer model called the Ice Sheet System Model (ISSM) is being made available to the public, allowing real-time simulations of the effects of environmental change on glaciers, ice sheets, sea level, and the geology of Earth. Our newest simulation models work published by Surendra Adhikari et al. 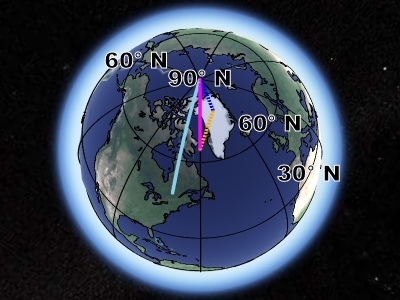 in Earth and Planetary Sciences Letters, "What drives 20th century polar motion". 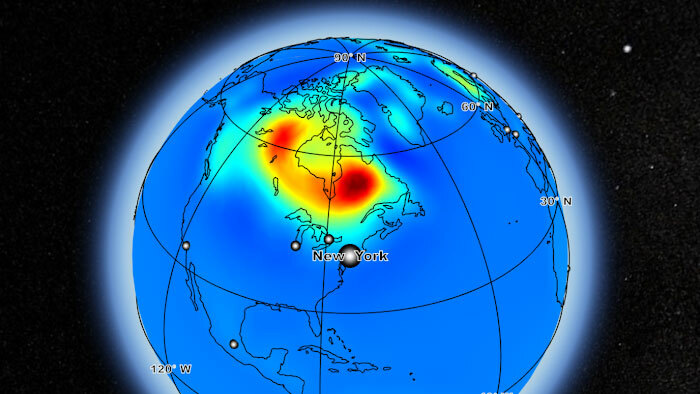 Our Glacial Isostatic Adjustment simulation demonstrates results from work published in Geophysical Research Letters, "GIA Model Statistics for GRACE Hydrology, Cryosphere and Ocean Science". Our Gradient Fingerprint Mapping simulation is featured in a paper authored by Dr. Larour and published in Science Advances. Glaciers in Alaska, Patagonia, and the Himalayas react to your settings for temperature, snowfall, and other factors. 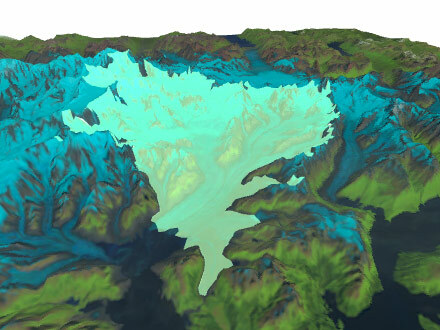 Model the evolution of Columbia glacier, Alaska. Based on work carried out by Alex Gardner and Eric Larour. See the effects of precipitation and temperature changes on the Alaskan glacier. The simulation is based on work by research scientists Alex Gardner and Eric Larour. Understand the evolution of Haig glacier, Canada over 30 years. Based on work carried out by Surendra Adhikari. 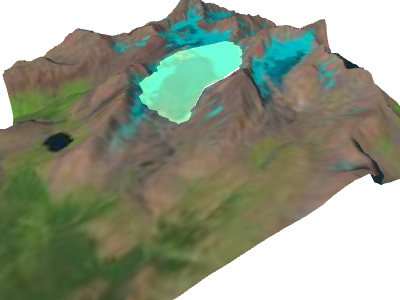 Track the evolution of this Canadian glacier over 30 years. It's based on work by research scientist Surendra Adhikari. Model the evolution of ice sheets such as Greenland and Antarctica. Understand the factors that control their evolution and and how they will contribute to sea level rise in the coming decades/centuries. This includes basal friction at the ice/bed interface, snow precipitation, temperature, etc. Use the model to force changes in the Greenland and Antarctic ice sheets, and trace their contributions to sea level rise over decades and centuries. The changeable factors include snowfall, temperature, and friction between ice and Earth. 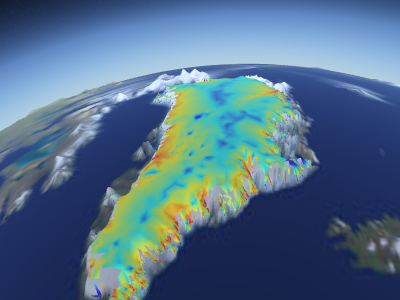 This simulation is based on the ISSM team's work on an assessment of ice sheet contributions to sea level rise, known as Sea-level Response to Ice Sheet Evolution (SeaRISE). Alter sea levels across planet Earth, and watch them rise or fall in response to changing glaciers and polar ice caps — and a changing climate. 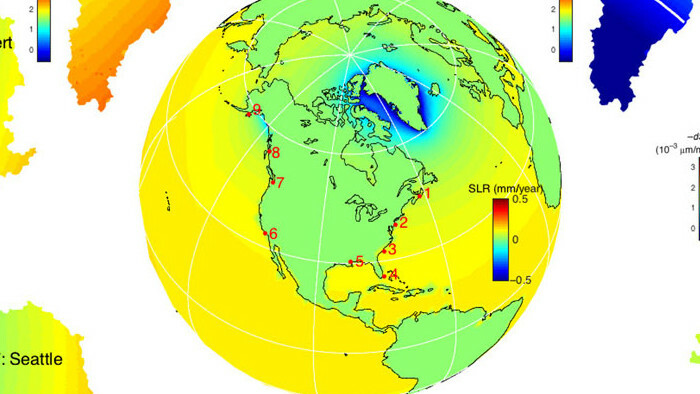 This model quantifies the impact of Antarctica and Greenland melt on the coastlines of several states in the US assuming the so-called bath-tub model (sea level is evenly distributed over the entire oceans as though Earth is a nongravitating, nonrotating, rigid planet). Melting ice in Antarctica and Greenland can change the mass and volume of ocean water, affecting sea levels on U.S. coastlines. Melting ice can change the gravitational profile of Earth's surface, with counter-intuitive effects: lower sea levels close to the melting mass, and higher levels farther away. 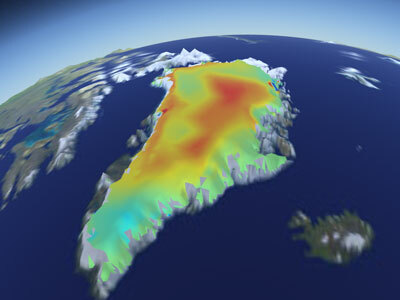 This model computes local sea level rise (or decrease) using GRACE observations of melt in Greenland and Antarctica, for present-day. Observations of melting ice from NASA's twin GRACE satellites, which measured gravitational changes, were used in this simulation of local variations in sea level. 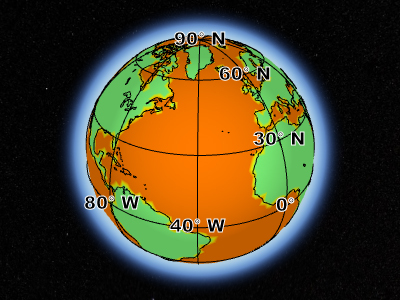 Here you will find simulations related to Earth's interior. 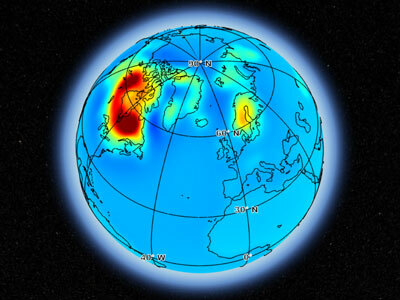 This includes models of geothermal heat flux and their impact on the thermal profile of polar ice sheets, models of mantle plumes under the ice, models of Glacio-Isostatic Rebound, and other models related to processes undergone by the earth lithosphere and mantle. Earth's crust is rebounding slowly, over thousands of years, from the heavy burden of the last ice age. 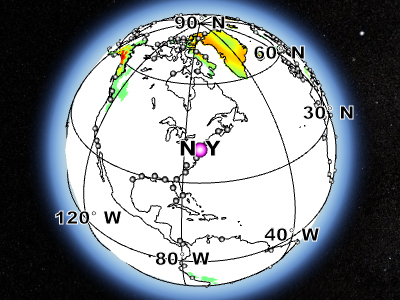 This simulation allows mapping of these trends across Earth's surface with the help of planet-wide GPS and sea level data, along with an ensemble of 100,000 computer models. Explore the way Greenland's ice responds to temperature changes in the rock upon which it rests, caused by heat from Earth's interior. VESL simulations rely on the state-of-the-art NASA/JPL/UCI ice flow model, ISSM, for computations. All of the simulations are hosted on a simple Web interface that allows easy control over model inputs. They are carried out live using Amazon EC2 cloud computing (nothing is precomputed) and rely on the exact same software used for our publications.